The Sandy Bay Fire Department is currently run out of the Sandy Bay Band Office by Fire Chief Josh Roulette(bottom right). Dedicated emergency services phone lines and faxes will be available in the future. 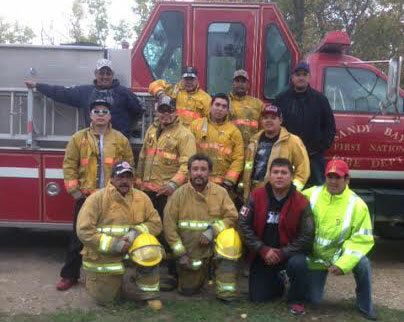 On April 12 to 14, 2013, the Sandy Bay Fire Department provided the First Aid and CPR duties at the All Nations Tribal Days that were held in Portage La Prairie. They had a first aid station set up and were posted at the different events being held. 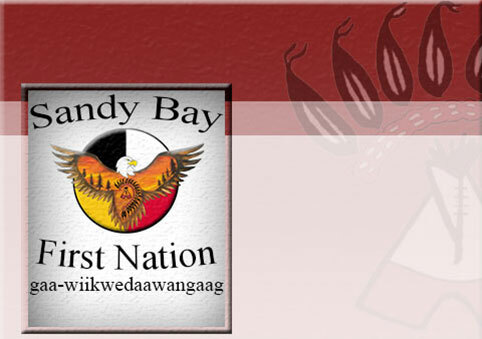 On May 29 and 30, 2013 the Sandy Bay Fire Department received training on Confined Space Entry Course and Cistern Cleaning Workshop, which was provided by Manitoba FIrst Nations Circuit Rider Training Program. After receiving the training, in 2013 the Fire Department members cleaned 128 cistern tanks in the community which helped provide clean safe drinking water. On July 9, 2013, a Fire Prevention Trailor, which was a learning centre for kids, was brought to the Sandy Bay Fire Hall by the Office of the Fire Commissioner. 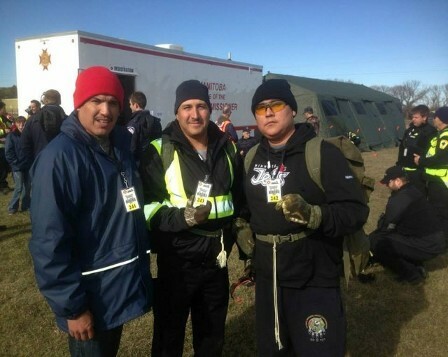 On October 25 and 26, 2013 members of the Fire Department went and participated in Ground Search and Rescue exercises in Ninette, Manitoba. Members slept the night in tents and did various scenario exercises including emergency camps, water exercises and grid searches in wooded areas. The event was held by the Office of the Fire Commissioner. On November 9, members of the Sandy Bay Fire Ground Search and Rescue team went to Swan Lake First Nation to help look for one of their community members.